The Bermuda shutter range is our second product category up from entry level giving a more natural looking hardwood. 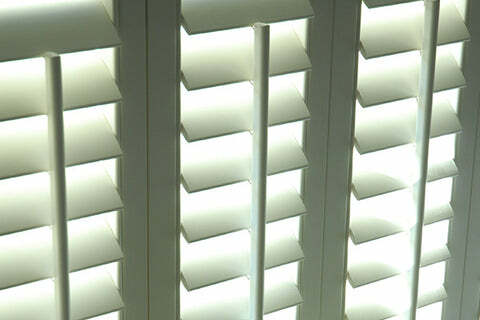 Bermuda shutters are available in wide range of louvre sizes to suit personal preference and requirements. Due to the louvres being manufactured from ABS plastic, the panel weight of the shutter is reduced which means single panels can be much wider than our entry-level shutters. As this high quality plastic is more cost efficient than real hardwood, it provides a high quality plantation shutter for less than our entry-level hardwood Cuba Shutters. 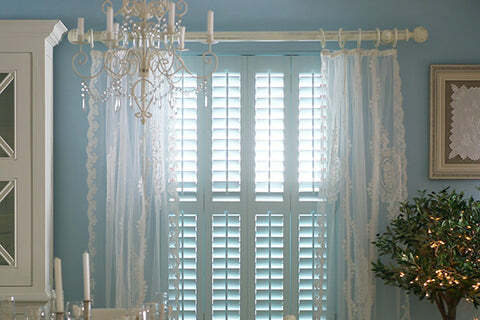 The finish of the Bermuda shutters are high and blend nicely with the plastic louvres. 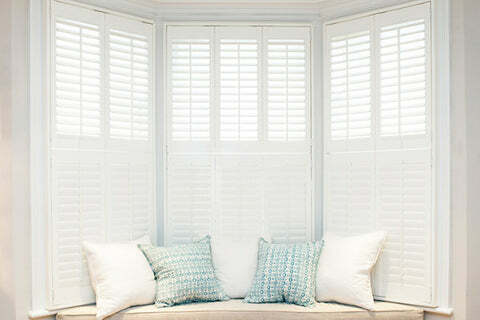 Our Bermuda shutters are made from medium density fibreboard - engineered timber (MDF) with ABS louvres. Coated in a high quality paint for a premium look. Available in 22 standard paint finishes (no stains or custom colours) and 9 hinge colours. Choose from 5 louvre sizes (47mm, 64mm, 76mm, 89mm and 114mm). 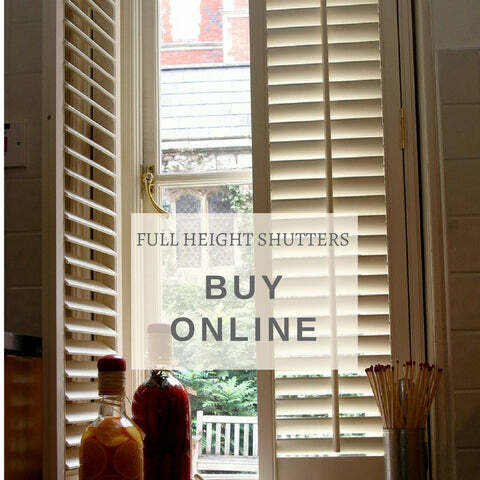 If you're buying shutters online 47mm and 114mm are not available. Our Bermuda plantation shutters come in a range of shutter styles including our most popular styles of full height, tier-on-tier, café style, and tracked shutters. With a large number of styles, colours and options to choose from, our Bermuda shutters offer excellent value for money. 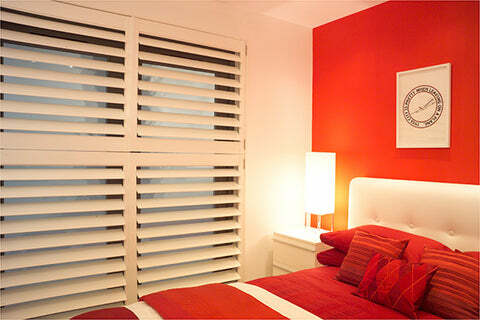 Our Bermuda range is the perfect choice for durable and hard wearing shutters. 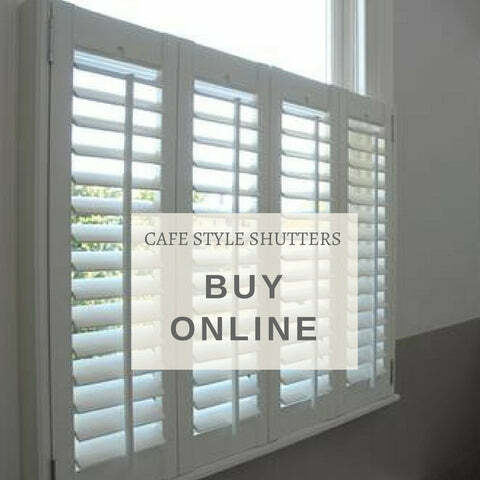 You can choose the style you prefer and design your shutters online, by clicking on one of the three options hereunder. 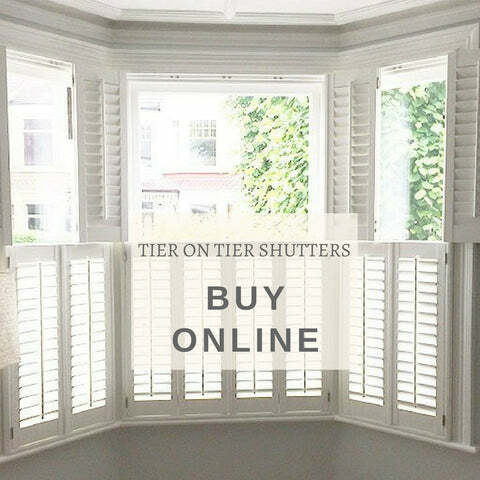 Full height shutters, tier-on-tier or cafe style shutters can be purchased online at discounted prices. The Bermuda range is also available in a tracking system, but this type of shutters cannot be designed and ordered online due to their complexity. Bay windows shutters or shutters for shaped windows cannot be designed online either. However, you can always ask for a free appointment and we will measure them for you and send you a no obligation quote!